Capsugel offers cell-culture process development and optimization services to maximize our clients’ product quality. Using a unique combination of modeling strategies, we are able to derive insights leading to the development of control strategies that maximize product quality. 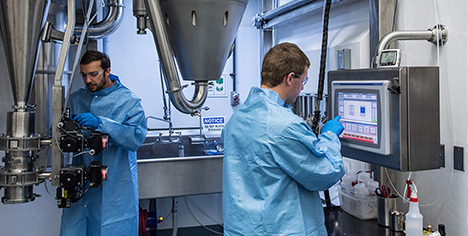 Our dosage form solutions are rooted in expertise in particle engineering, including spray-drying and solid-state and solution formulation, we provide formulation development services for oral, parenteral, nasal and pulmonary delivery.